Trailing 1-0 heading into the bottom of the seventh inning, Ian Glogosvky drew a walk, and Jacob Hutcherson advanced Glogosvky to second base with a sacrifice bunt. Sophomore Drew McCleary then got on base via a Viking error, which left the Tigers with runners on second and third base with one out. Sophomore Joey Springer was walked intentionally, loading the bases for Josh Ehrlinger, and Ehrlinger promptly drove the third pitch of his at-bat to the left-centerfield gap to score the game-tying and winning runs. Junior Noah Burgh was the winning pitcher. He threw a complete game, struck out nine, and allowed just two Huntington North hits. 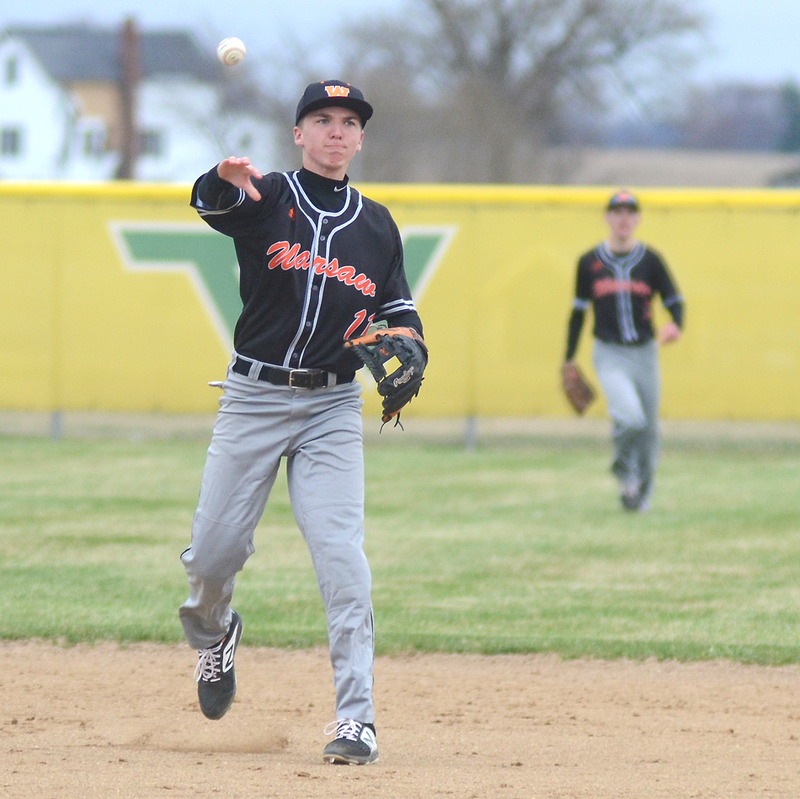 The Tigers were led offensively by Ehrlinger, who went 2-for-2 and McCleary, who went 1-for-3. The Warsaw JV dropped their game by a narrow, 3-2 margin, meanwhile. The JV Tigers collected just four hits in the loss. Lukas Maier started things for the Tigers in the bottom of the first with a lead-off double. He would steal third and score on a passed ball. Then again in the third inning, Maier reached on a two-out walk. He would steal his way around the bases to cap the scoring for the Tigers. Maier eventually finished the game 1-for-2. The Tigers were able to stay in the game with solid pitching performances from Drew Yeager and Daylan Vermilyer. The duo combined for eight strikeouts and four total walks. To finish out the offense, Warsaw got hits from Tyler Kuhn, Aaron Greene and Gabe Bowers. Warsaw finishes the week at home versus Columbia City Friday at 5 p.m. The JV will travel to Columbia City.